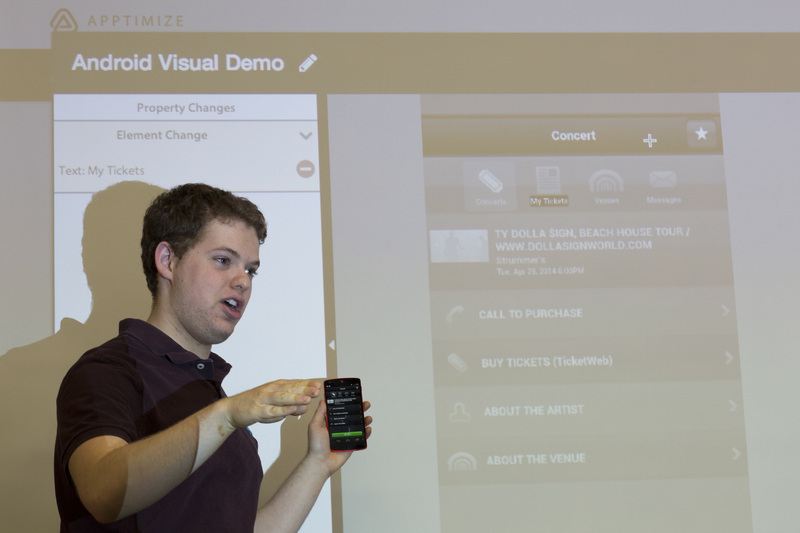 San Francisco, CA – Three months after announcing a $2.1M seed funding round and the iOS version of the Visual Apptimizer, a what-you-see-is-what-you-get visual editor for creating A/B testing variants, Apptimize is launching the Visual Apptimizer for Android. Not only will product managers, designers, and marketers now be able to create A/B tests for their Android apps without programming, app developers can test and hotfix bugs without waiting for approval from the Google Play Store. This is particularly exciting given Apptimize’s existing targeting features and the complex nature of Android development. Android is extremely fragmented with a huge variety of form factors. App owners want to target users of a specific device/system combination because the app can perform differently depending on the device model, screen size, Android version, manufacturer/carrier software, and a variety of other differences. Apptimize allows you to do exactly that — you can send one variant of your app to users on one Android version, and another variant to everyone else. You can send one version of your app to users on Nexus 5, and another version to users on Samsung Galaxy. This is hugely impactful to Apptimize customers who do this because their apps can perform very differently on different device types. Also they observe that their users behave very differently depending on the type of device they own. These targeting abilities combined with the Visual Apptimizer means that this type of precise user customization now comes without coding and without waiting for Google Play Store responses. Business, marketing, and product leaders can be more empowered than ever to improve their apps, for each individual user, without consuming developer resources or waiting through red tape. Apptimize’s results reporting also lets you segment the results by device, language, country, screen size, etc., so you can see how these factors affect your users. For example, it’s possible an app’s Samsung users in China react better to a feature than Nexus users in Korea. 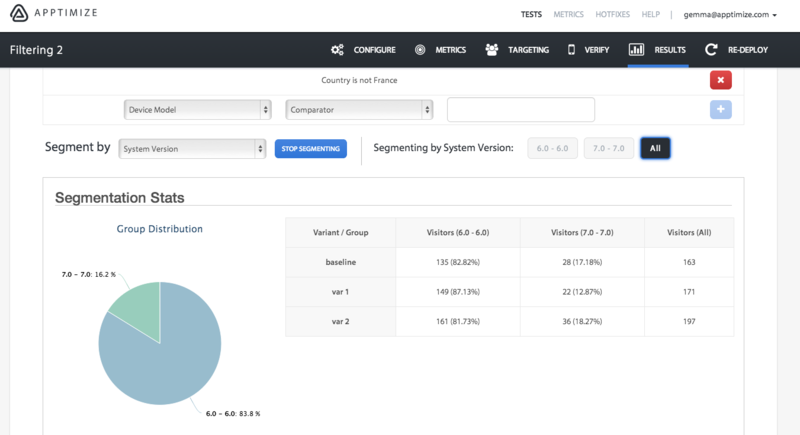 With Apptimize’s analytics dashboard, understanding this information after a test has been deployed is easy. Our customers use this information to design tests with greater impact so that all their app users are happier. Sign up for Apptimize today and use the Android Visual Apptimizer for free.